Penny Analogies, How Can They Enhance Public Speaking? Do you like green olives? Do you know how the flavor explodes in your mouth? That is called whole mouth sensation. When you use analogies, you are using words that create whole brain sensations. This is because we think in images, concepts, and associations. The analogy facilitates that thinking. These simple penny analogies will give you some fodder to be able to start creating your own analogies and illustrations. Illustrations and analogy that will bring a powerful advantage to your public speaking. This is true even if your audience is not full of numismatist coin collectors of rare coins. Illustrations and Analogies First learn the basics about illustrations, analogies and their use in public speaking. Note…Following each heading will be an actual penny analogies or illustration as if in a speech in progress. It would be introduced in the introduction or included in the body as a speaker sees fit. Of course these analogies will have a strong tie in for the numismatist coin collector and or rare penny collector. These are just examples to stimulate even more illustrations and analogies in your arsenal. How many in the audience have a penny on them. How do you feel about pennies? Do you pick them up if you see them on the street? Do you look at them? Do you even think about them? Most of us do not even think about the lowly penny. Just out of curiosity, how many have ever seen pennies on the street? A show of hands? Have you noticed in life that some things and even some people are like pennies? They are never noticed, sometimes ignored and even discarded. 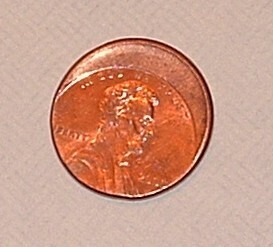 What if you were to find a penny like a friend of mine did in May of 2006. It has a date of 2000. Just a penny. However what is unusual is that nobody noticed that this was a rare penny. You see, not only was it a mistake in being made. It was also a mistake in that it was released into the monetary system and for over 5 ½ years everybody mistakenly passed it off to someone else. The reason why it is so rare is that only ¾ of the coin is visible. The balance is blank. It was a mis-stamped penny. And nobody noticed. It is worth at least $1 and as much as $20. Note…What are you thinking right now? What thoughts are going through your mind? Remember that feeling. Learning how to give that feeling to your audience will enhance your speaking skill. The Audience Mind has a complete consideration of this subject. This is just one of several penny analogies and illustrations that could be adapted into a speech. How much are your pennies worth? You are thinking a penny right? Many think they are not worth anything. They throw them away. Why? It is human nature to take for granted anything we have in abundance. Now I know none of the audience today ever complains about the having to work. You no doubt have heard people complain about their job. What if there were no jobs to be found. What if you had one of the few jobs to be had? Would that person now be complaining? Like a bad penny, one that keeps showing up, when we have an abundance we tend to not appreciate it. 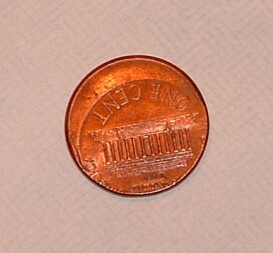 What if you could look into the future and see that the Lincoln Penny were going to be discontinued. Not only that, they would be worth at least 100 dollars each in lets say the next 50 years. Your probably thinking, hmmm, a cup of coffee will probably cost a hundred dollars in the next 50 years. Well then, people are throwing your future cups of coffee away because they have so many. Anyway you look at it, to save your pennies today and have them worth that much would be a great investment. What about the other things we throw away in our society. We throw away things and even people. They are abandoned, left to fend for them selves. You may have some feelings about them and what is happening to them. You may also feel like what can I do? And you are probably right. There is little you can do for them. I am not suggesting we can save the whole world. Is it possible we are abandoning our own children? We leave them home with the one-eyed babysitter. They will go and play and run with the kids in the neighborhood because there is no place for them. This is not about the majority of kids. Many parents are doing a fine job rearing their children. However there are some who are abandoned even though they have one or both parents. Like that penny they keep showing up. What can you do? What do you do with pennies when you find them on the street? If you see one of these kids hanging around your kids, they may just be one of those pennies. ...recall that everywhere and all around us are pennies. Some may prove to be extremely valuable if only we stop to see their value. These are a brief look at some penny analogies. They could easily be about other things in life. What other illustrations or analogy can you come up with? One thing is for sure, you will not look at a penny again with out thinking of these penny analogies. Learn More About Analogies and the different types. There is an example of one on gossip and how hard it is to undo the harmful effects. Recall Your Dreams Remember the dreams you have tonight tomorrow morning when you awake. It is easy if you do this one simple thing.